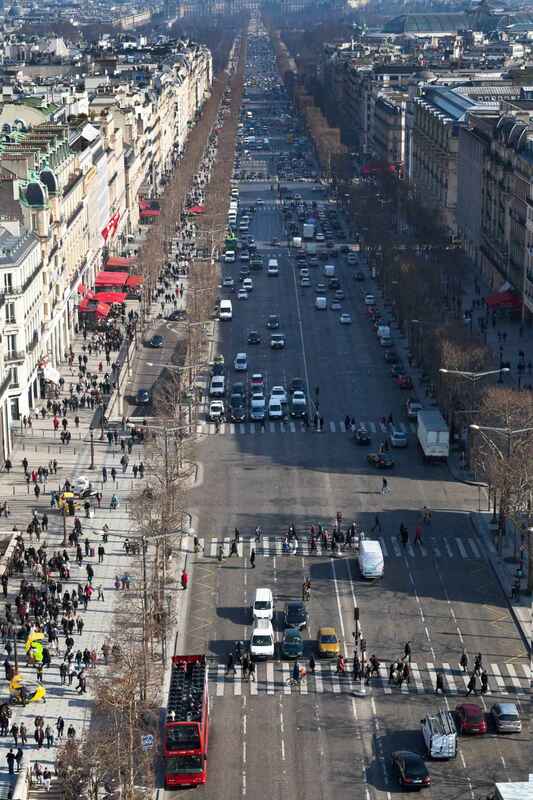 The Avenue des Champs-Élysées ) is a boulevard in the 8th arrondissement of Paris, 1.9 kilometres (1.2 mi) long and 70 metres (230 ft) wide, running between the Place de la Concorde and the Place Charles de Gaulle, where the Arc de Triomphe is located. It is known for its theatres, cafés and luxury shops, for the annual Bastille Day military parade, and as the finish of the Tour de France cycle race. The name is French for the Elysian Fields, the paradise for dead heroes in Greek mythology. 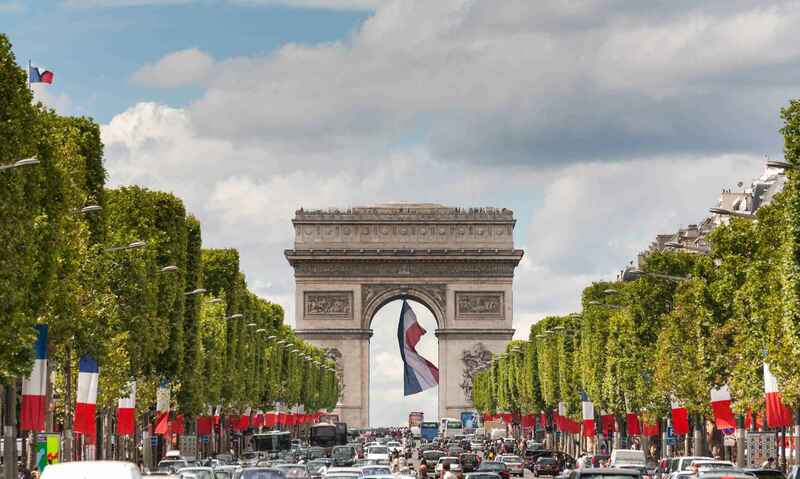 The French proudly call their world-famous boulevard "la plus belle avenue du monde" ("the world's most beautiful avenue").